The priority business areas are leasing of commercial properties, engineering and construction, real estate development project management. 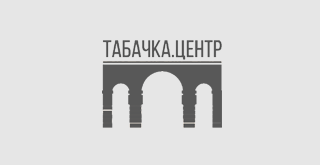 «Tabachka centre» is a complex of buildings in historical and business centre of Rostov. Total area of the complex is more than 30 thousand sq. m.
One of the main business lines isrenting out real properties. There are offices, financial centers, media centre, coworking centers, restaurant complex, fitness centre, and shops inthe territory ofthe complex. It is a place for start and development of business, partnership and new opportunities. Park founded in1929, is located in the centre of Rostov-on-Don. The area of park zone is16,5 hectares. The complex isdivided into different zones: amusement devices, pound and pavilions with exotic species ofbirds, football stadium, Ping-Pong tables, indoor ice rink, two adventure parks, contact zoo, paintball, and cafe. Theme park «Shum-Gam Land» possesses 23 extreme, child and family attractions. Indoor ice rink «Ledograd» has ice arena of1,25 thousand square meters. Annual attendance of the park is about 1,5 million people. Third largest observation wheel in Russia «Odno nebo» was launched in the Park of the October Revolution in 2016. The observation wheel 65 meters high has 30 gondolas with conditioning system. Gondolas are equipped with comfortable seats and tables, three of them are with enhanced comfort, one has handicapped entrance. 180 visitors can ride the observation wheel at the same time. One ride takes 12 minutes.